While many organizations choose a combined firewall and web filtering solution, in order to balance security with performance, many choose to keep both functions separate. Barracuda Networks has announced that it has now improved its web security deployment choices, allowing customers to choose an integrated firewall/web security solution or run both as separate appliances. 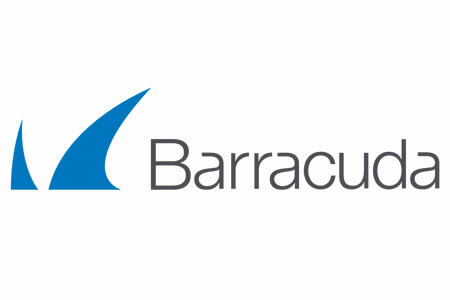 “The recent enhancements made to Barracuda’s firewall and web security products allow customers to deploy best-in-class web security architectures, either integrated as a feature of their next-generation firewalls, or integrated as discrete firewall and web security appliances,” said Stephen Pao, GM Security, Barracuda. The Barracuda next generation firewall now has the capability to silently redirect traffic through the web filter without inline connections, with the feature made available on both the Barracuda Firewall and the Barracuda NextGen firewall. Organizations that run the firewall and web filter on separate appliances can gain several performance benefits, since there are different latency profiles for scaling fast packet inspection and full web proxy functions. By using a separate web filtering appliance, customers can get enhanced security functions that are not usually present in firewalls. Through the firewall users can block certain types of content, but they are not able to benefit from content policy alerts and advanced granular reports. The integrated approach allows customers to choose Barracuda to provide both firewall and advanced web security functions. Barracuda has also announced its web filter has received an update to the application engine to improve the accuracy of the filter to prevent overblocking of content. The detection of content that violates acceptable usage policies has also been improved, and for organizations that are not yet ready to adopt NG firewalls, the web filter enables application visibilities for organizations running legacy Layer 3 and Layer 4 firewalls. Barracuda has also announced the inclusion of Safe Search and YouTube for Schools in its NG firewall (version 61 and above), which are typically only available through dedicated web security solutions. Safe Search and YouTube for Schools will be available through the Barracuda Firewall (version 9.0 and above) from July 2015.